Here are the pages I have for last week. 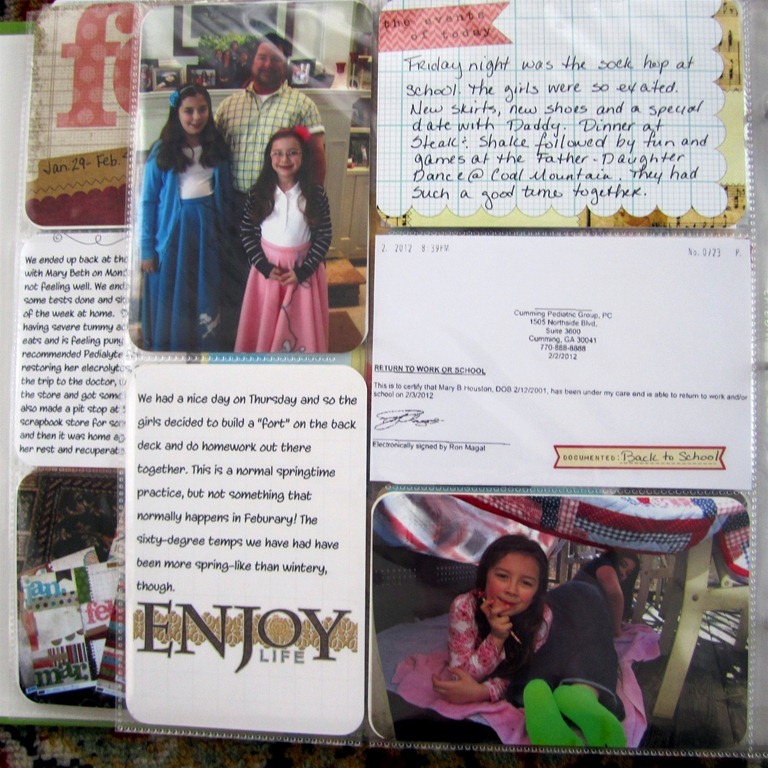 I ended up doing a 12×10 insert with some extra pictures from the week, including the Father-Daughter Dance pictures. I will probably end up going back and including a 5×7 of that one since SuperMan had a formal picture made of him with the girls at the dance. I can’t wait to see it. I’m loving using some new things to me – like the Year-ography pages I got last week (the “FEB” insert above) and some SMASH washi tape (polka dots!) that I am now in love with. I also played around with PSE and made some of my own journaling cards – I like to tell the details of the stories and handwriting them just doesn’t always give me enough room. 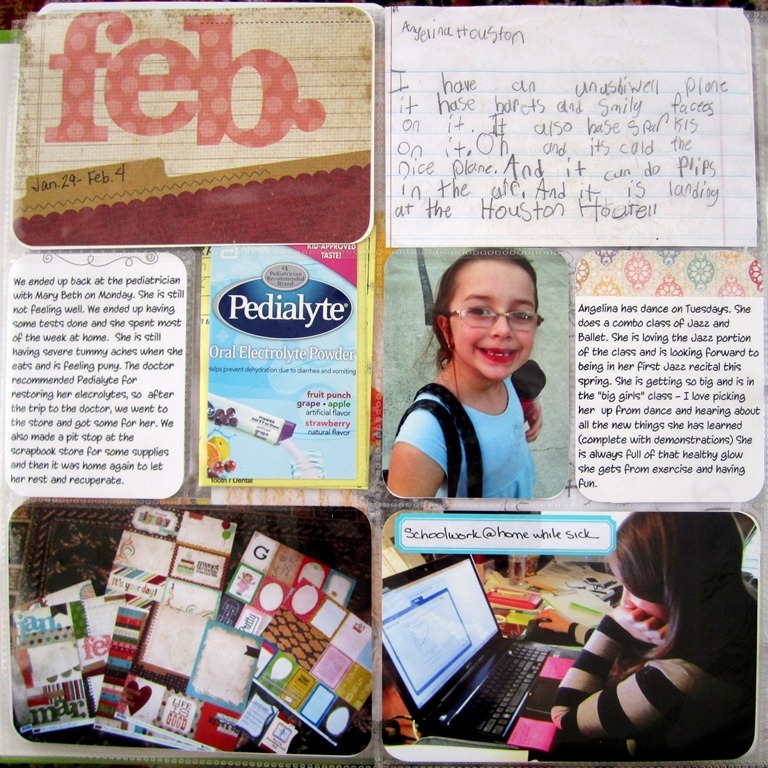 The journal card that is handwritten (below) was from Elle’s Studio. They are SO pretty – I will be ordering more for sure. 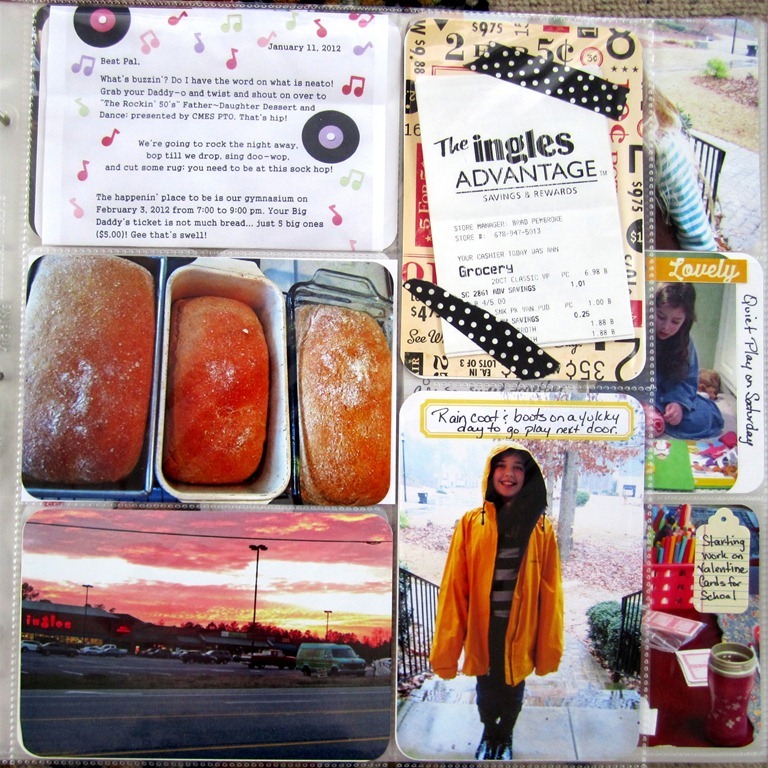 This is the right side page… more journaling in PSE plus an handwritten journal card. I also used some of the new Martha Stewart labels I picked up at Staples. (LOVE them!) You will be seeing a lot more of those in my books in the future. Hi Lois, great week. Love the handwriting from your daughter. 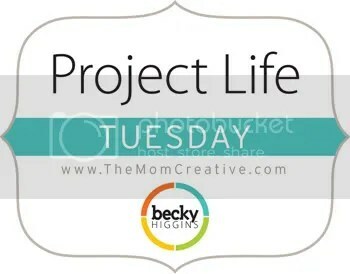 Great glimpse into your life this week! Love that sunset/sunrise photo. Love how you mixed everything and even made your own cards! Wow! Look at the beautiful bread! Yummy. LOVE fresh homemade bread. Your pages look great. Love how you added the receipt & the pedialyte packaging. I also got some Smash tape & love it. Mine has words on it. Such great pictures! 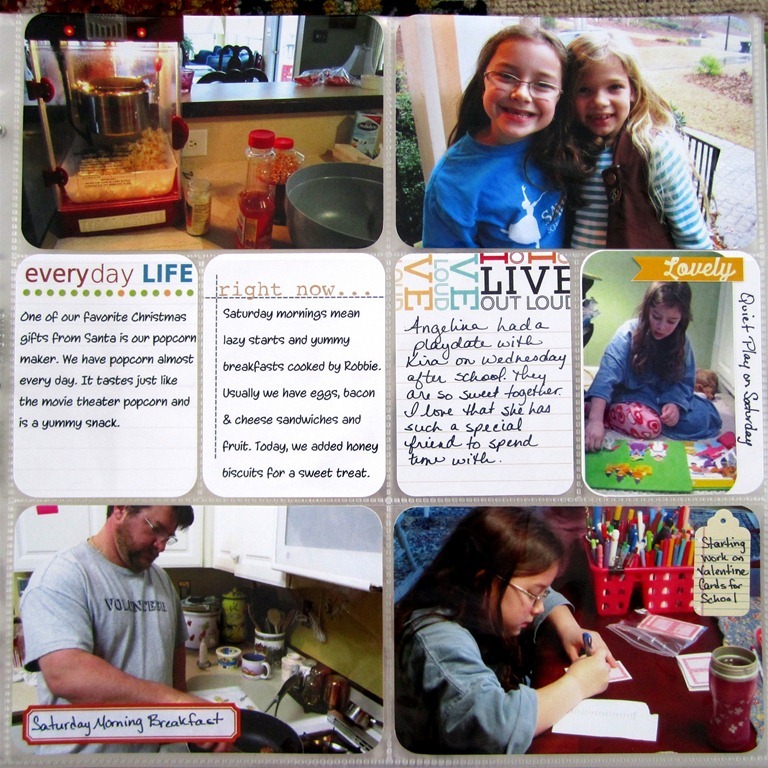 Thanks for stopping by my blog and linking up.